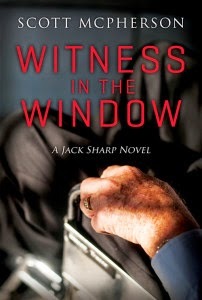 His latest Jack Sharp novel is called Witness in the Window. Scott McPherson, M.D. has found that he not only loves to write fiction, but his readers love his books. Often a patient chides him for ending his first novel with a cliff-hanger and making them wait to find out what happens next. Author of three novels, he continues to look ahead to new projects and ideas for additions to his series about Jack Sharp, M.D. He has successfully looked at his own life experiences for ideas of plots and characters. Scott is a family physician, husband, father and grandfather. He has over twenty years of military service in the Air Force and Air National Guard. He has traveled widely, both in the Guard and as a missionary in his twenties. He has had the privilege of serving in Africa for over a year as a medical missionary. His military career has taken him to many distant locations, as well, including Turkey, Iceland, Guam, Antarctica and more.